Saha Pathana Inter-Holding Public Company Limited is determined to achieve sustainable development through contributing to the wellbeing of all its stakeholders and societies. Under the philosophy of Dr. Thiam Chokwatana of "Good People, Good Products, Good Society" together with a strong management team to achieve business goals to support growth to society and the community. 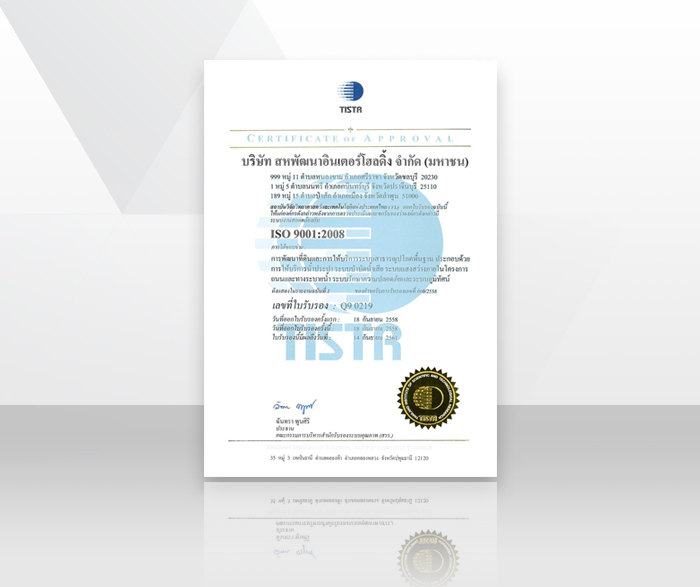 The company therefore has been recognized from various customers, environmental organizations, investors, mass media and business partners. Through our strong determination and public standpoint, Saha Pathana Inter-Holding Public Company Limited has been receiving awards and recognitions from various organizations and institutions both domectically and internationally. 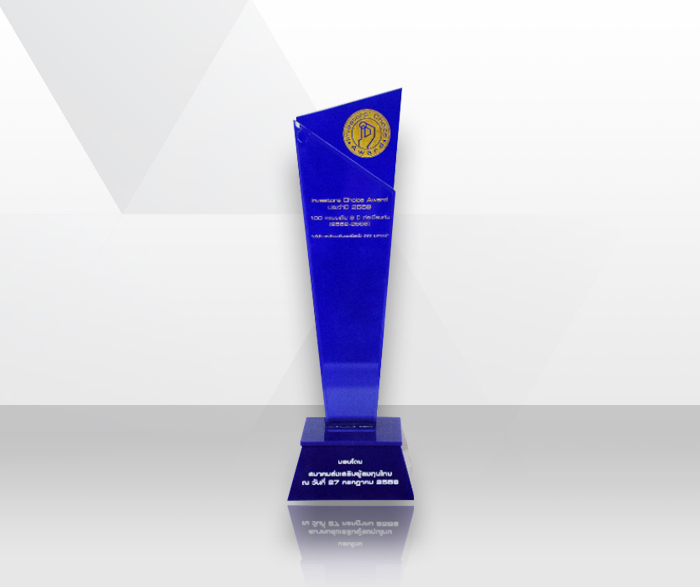 These awards and recognitions reveals our constant success and determination of developing quality products for the wellbeing of our customers, communities and societies. 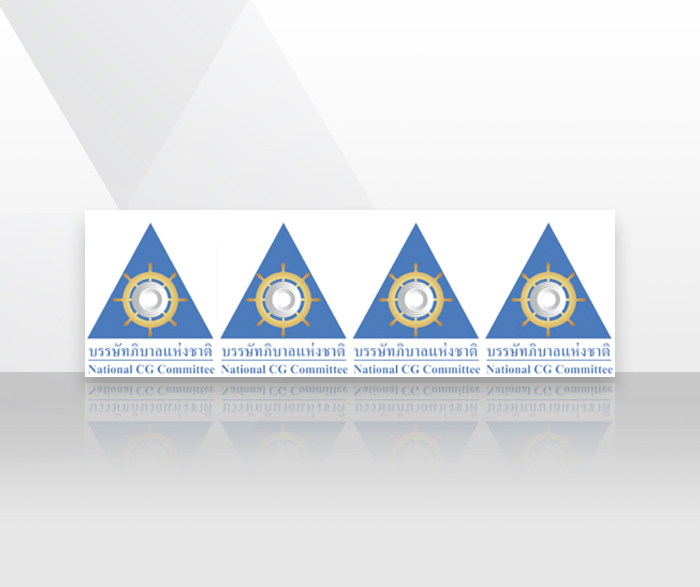 The Company's USD 2,902 billion restructuring of four listed entities (Saha Pathana Inter-Holding Public Company Limited, Thai President Foods Public Company Limited, President Rice Products Public Company Limited, and President Bakery Public Company Limited) into one. 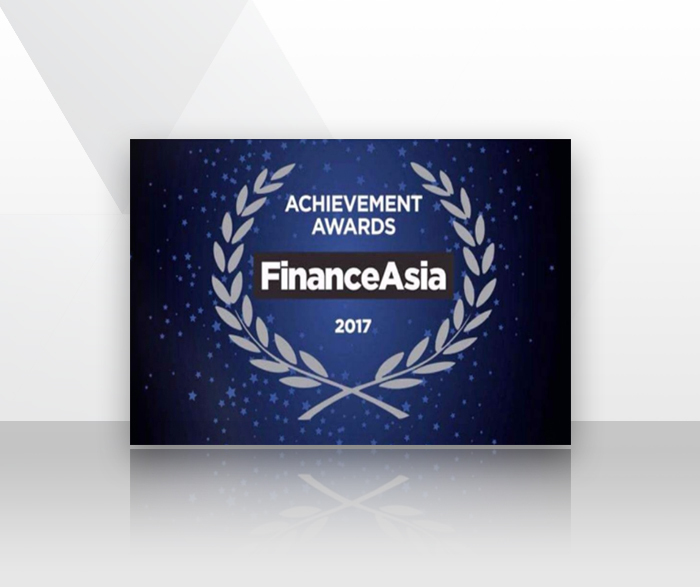 The achievement was made through the support of Phatra Securities as financial adviser, Avantgarde Capital and Grant Thornton as independent financial advisers (fair opinion) and Linklaters as legal adviser. This has formed a solid food sector in the preparation for SPI and Saha Group's next stage of growth. 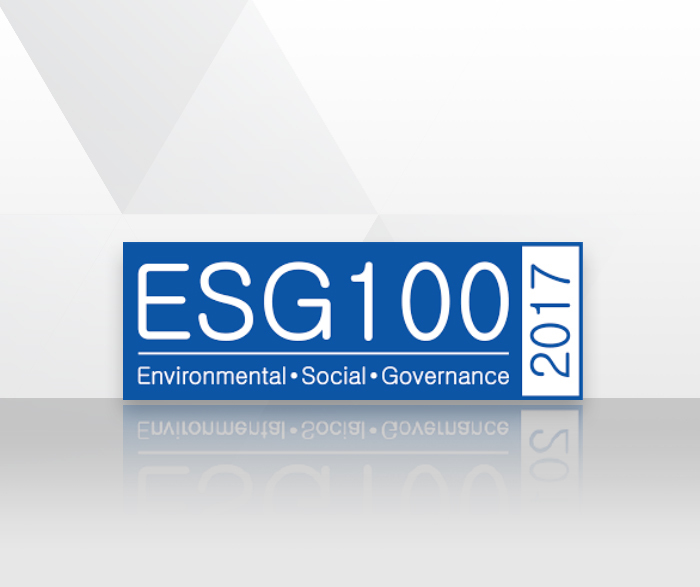 The Company was recognised by Thaipat Institute as 1 of 2017 ESG 100 list, which refers to the 100 best-performing publicly listed companies in terms of Environment, Social, and Governance (ESG) category on the Stock Exchange of Thailand (out of 656 listed companies). 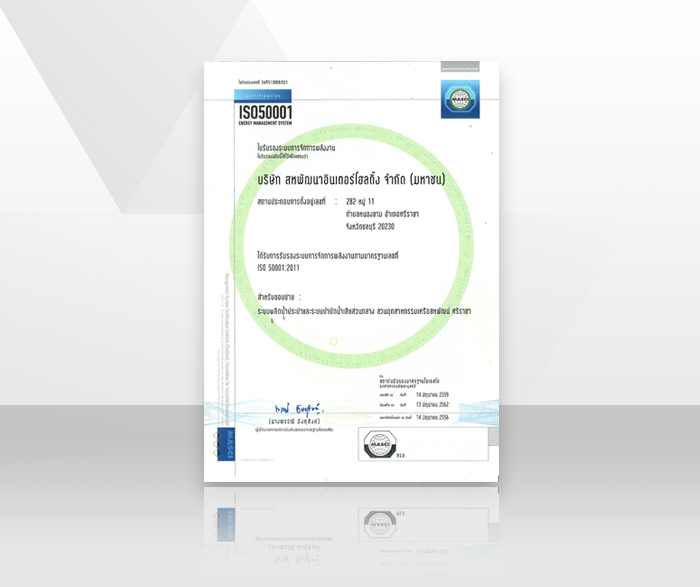 Corporate Govenance Scoring in 2017 - "Very Good"
The Company was recognised by Thai Institute of Directors Association (Thai IOD) as one of the Thai listed companies with "Very Good" CG Scoring for 2017. 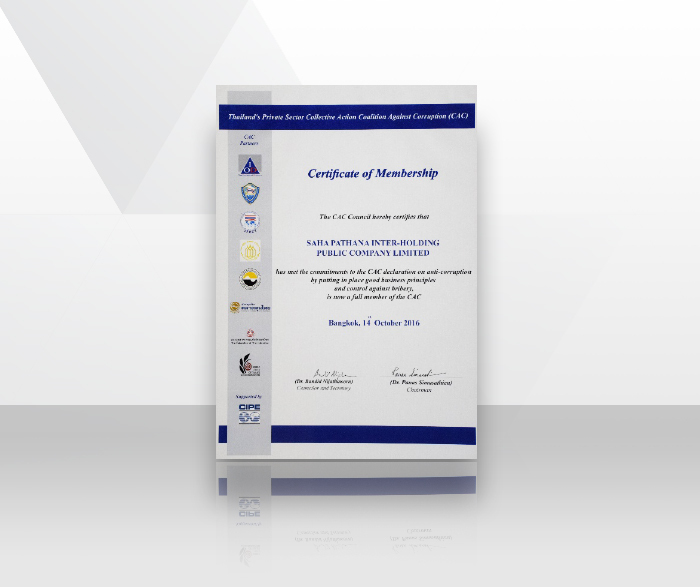 The Company was certified as a member of the Private Sector Collective Action Coalition against Corruption (CAC) on 14 October 2016 having met the commitments to the CAC declaration on anti-corruption by putting in place good business principles and control against bribery. The Company achieved "Investors’ Choice Award 2016" a full score of 100 points along with the “Excellent” status for the assessment of the 2016 general meeting of shareholders for the eighth consecutive year since 2009. 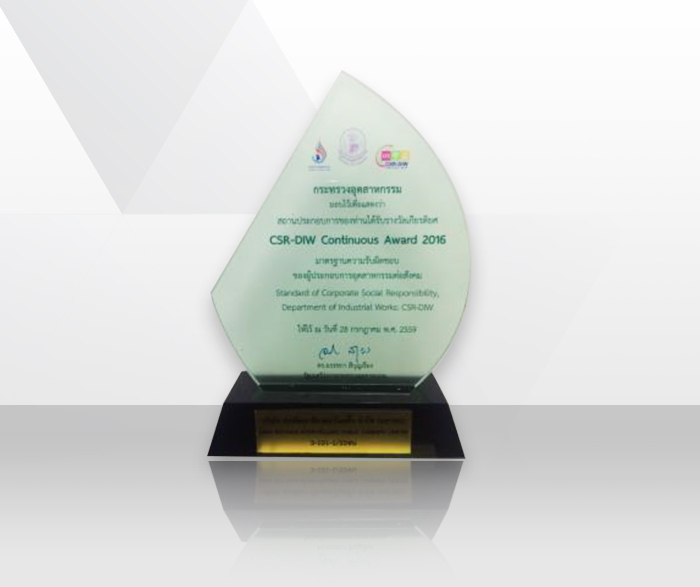 The Company achieved the CSR-DIW Continuous Award 2016 by the Ministry of Industry on July 28, 2016. This award is a testament to our commitment to developing our organization towards sustainability.